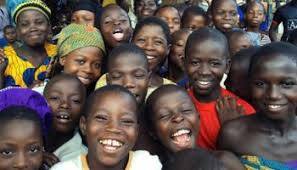 The Federal government said on Friday that it has gotten the exact figure of out-of-school children in the country. It said that the figure had stopped the trend of several unrealistic figures being used by local and international platforms to describe the state of basic education in Nigeria. The government reported an exact figure of 10, 193,198, children of school age were not in school for several reasons. The Permanent Secretary, Federal Ministry of Education, Sonny Echono, disclosed the information at a press conference in Abuja saying the figure was part of the outcome of the National Personnel Audit conducted by the Universal Basic Education Commission (UBEC) for both public and private schools in Nigeria. He said that most of the children were found in Adamawa, Borno, Yobe, Akwa Ibom, Benue, Ebonyi, Kebbi, Kastina and several other states. The permanent secretary said that several measures were being taken by all relevant local and international stakeholders to improve enrolment of children in schools.